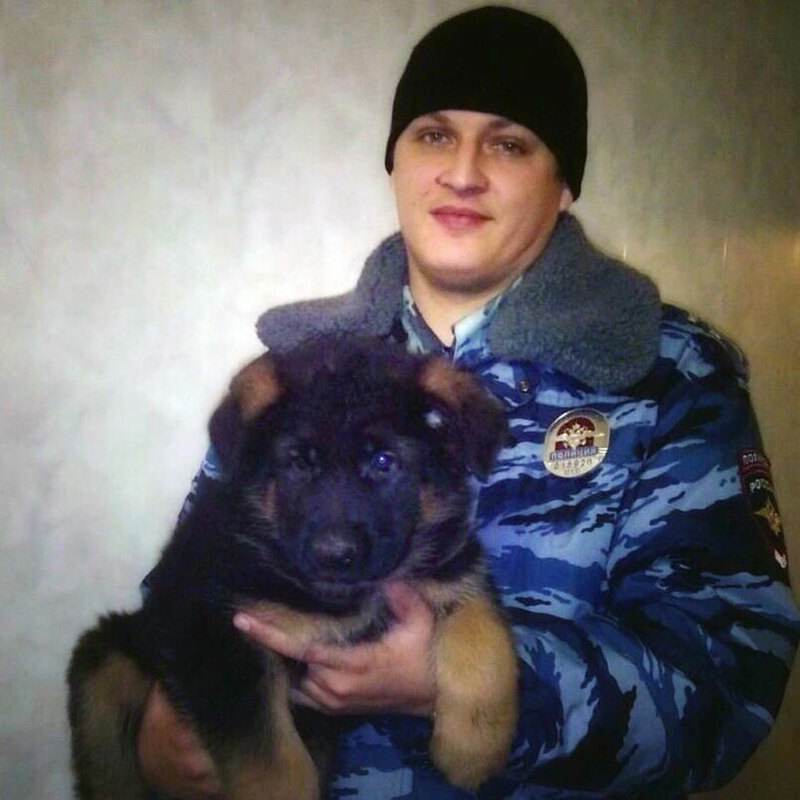 Russian policeman holding a German shepherd puppy named Dobrynya, Nov. 22. The Russian German Shepherd puppy named Dobrynya, who was presented earlier by the Russian police to France, will undergo special training at a French police dog training center in southern Paris, French Ambassador to Russia Jean-Maurice Ripert said on Dec. 10. "Upon arrival to France, Dobrynya will be at the disposal of a police dog expert from the national police dog training center (Centre National de Formation des Unites Cynotechniques) in Cannes-Ecluses, in the south of Paris. Each year, it provides training for an average of 130 agents in various areas of specialization (security and patrol, search and rescue, drug search, money, explosives, weapons and many other things)," the ambassador said during an online chat on Facebook. "Dobrynya will not be able to start training before he is eleven months old. In the meantime, while awaiting his 'appointment' to the French police ranks, his future trainer will take personal charge of him," he said. It was reported that a seven-year old French police dog named Diesel was killed during a raid on suspected terrorists in St. Denis outside Paris on Nov. 18. Diesel was killed by terror suspects during the storming operation. Subsequently, Moscow decided to present the French police with a German Shepherd pup. Dobrynya was presented to the French on Dec. 7.